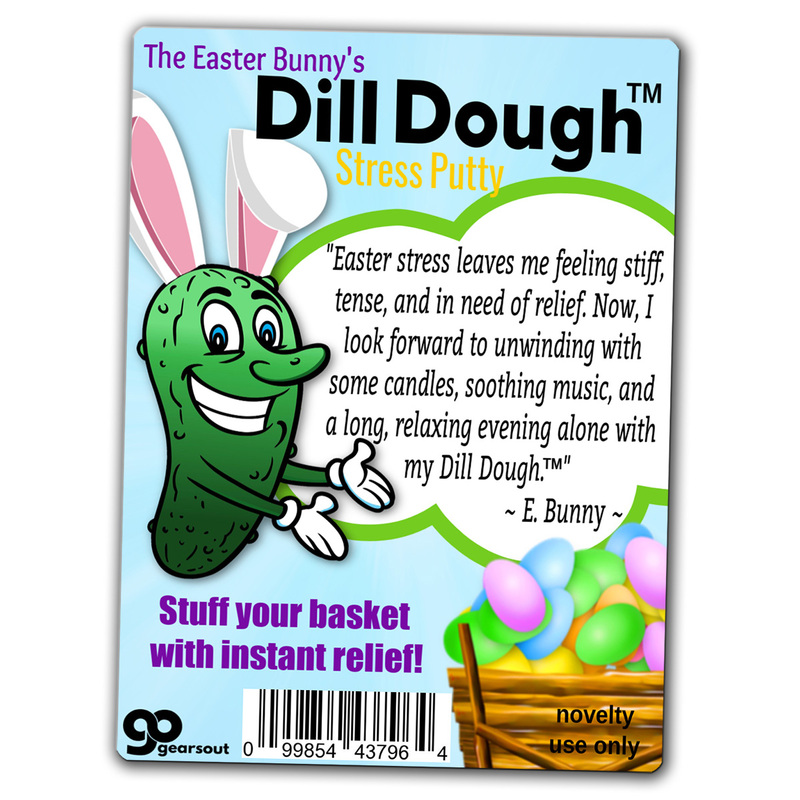 After making dinner preparations, decorating, putting together fun, thoughtful Easter baskets and gifts, you can be totally stressed to the max. 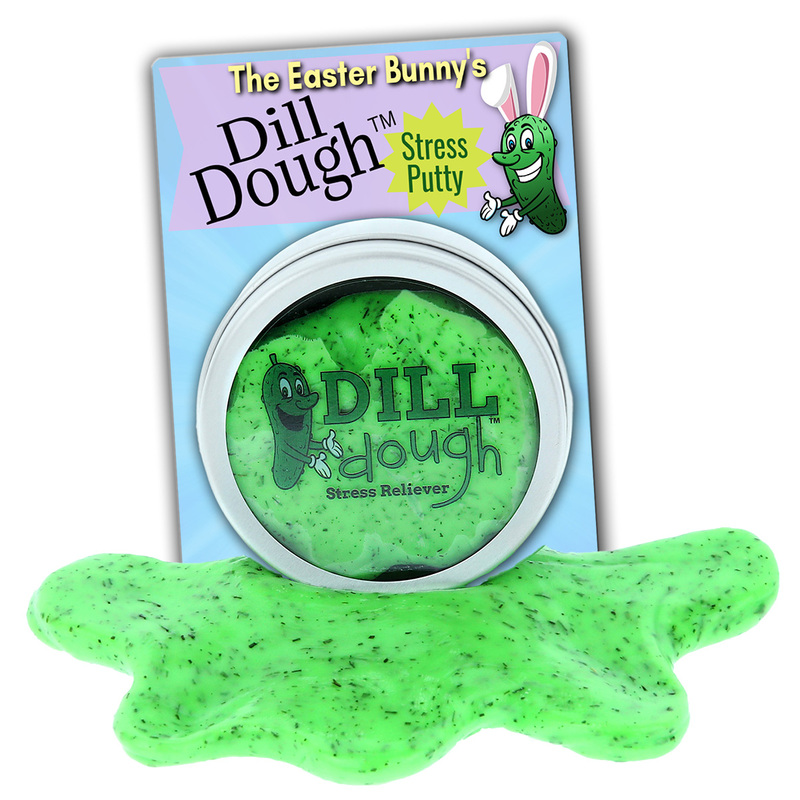 The Easter Bunny completely understands the tension that can build up when planning a fantastic holiday event, so he’s made his secret to success available for every bunny … The Easter Bunny’s Dill Dough Stress Putty! 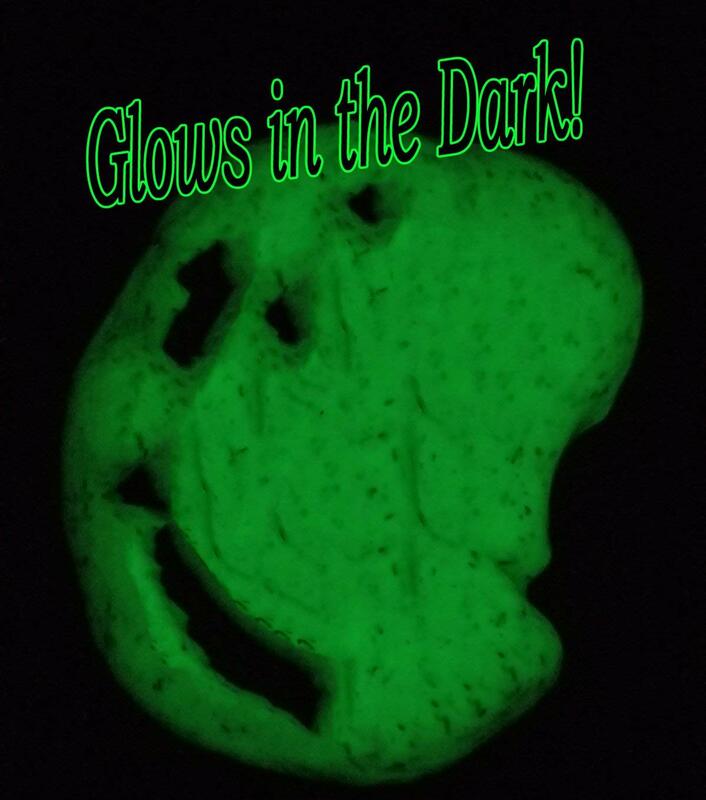 This glowing, green stress reliever will melt away your troubles and brighten your life. Squeeze it through your fingers, feel it loosen up in soothing splendor, and indulge in the sheer rejuvenation of your soul as you squish this magical putty with one or both hands. You do you; we don’t judge. 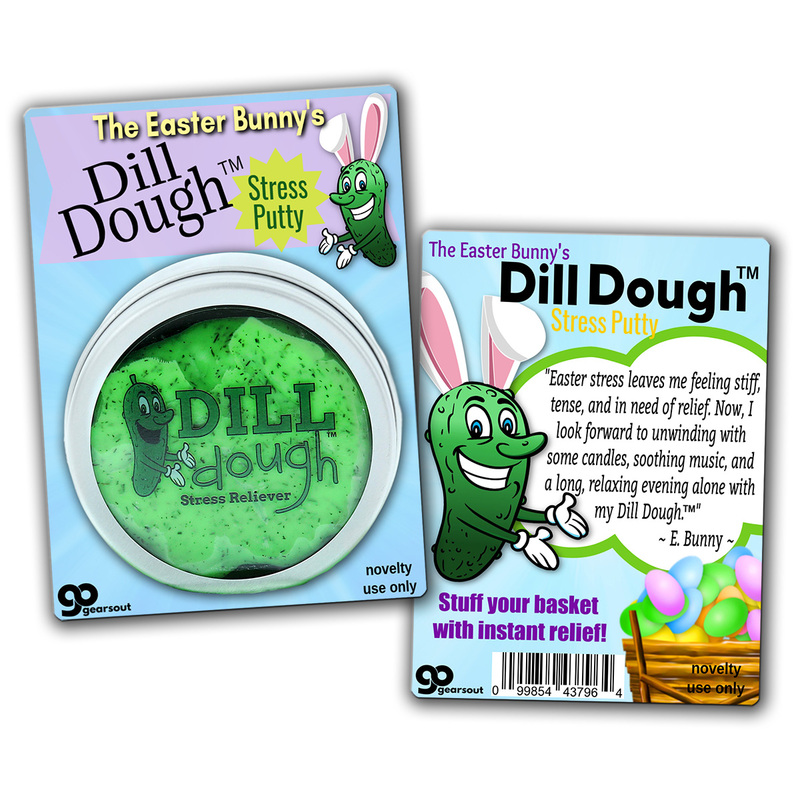 The Easter Bunny’s Dill Dough Stress Putty comes in a clear, lidded tin, so it can soak up light. When you want to relieve some tension in the dark, flip that light switch and enjoy a truly unique squeeze session. The more light you feed it, the longer and brighter it glows! Hint: For the best glow, leave your Dill Dough in direct, bright light. Trust us, it totally digs the extra attention, and the pay-off is worth it! Stuff your basket with instant relief!